For pet owners, it’s almost a badge of honor to have a furry family member that’s so cute he or she looks good enough to eat. Commercial/film producer Karen Zack took that concept to its literal conclusion in a series of Twitter photos comparing adorable animals to specific food or common household items. 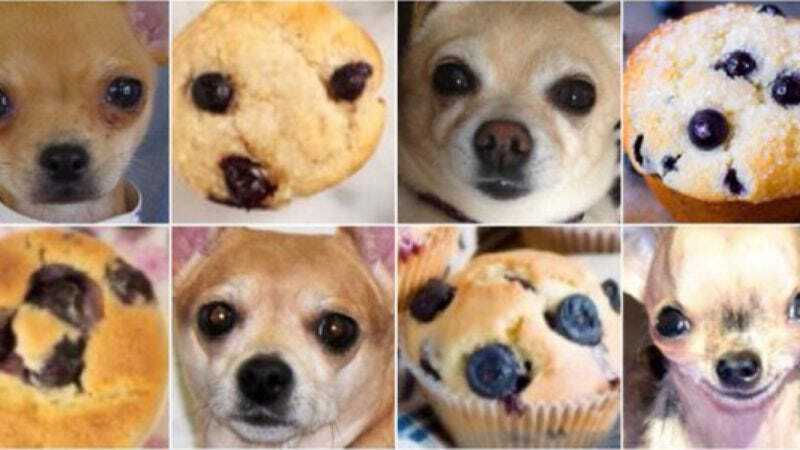 The results can be zen-like (“Puppy or bagel?” in which zoned-out, curled-up canines resemble delicious baked goods) or slightly disturbing (the self-explanatory “Labradoodle or fried chicken?”), although the existential quandaries posed by “Chihuahua or blueberry muffin?” and “Sheepdog or mop?” are weirdly perfect metaphors for the times. Either way, the flurry of photos is far more mesmerizing—and endearing—than, say, striped dresses of an undetermined color.